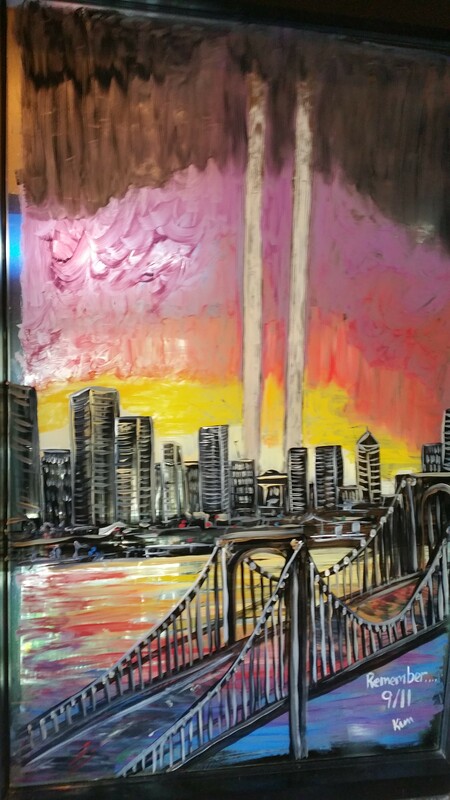 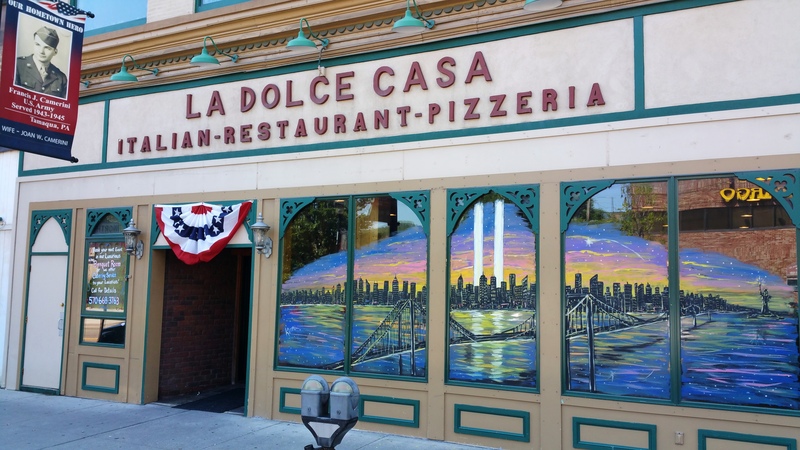 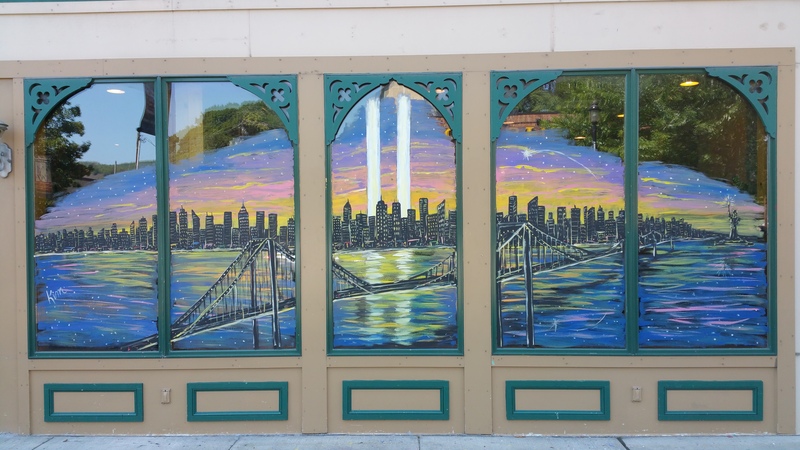 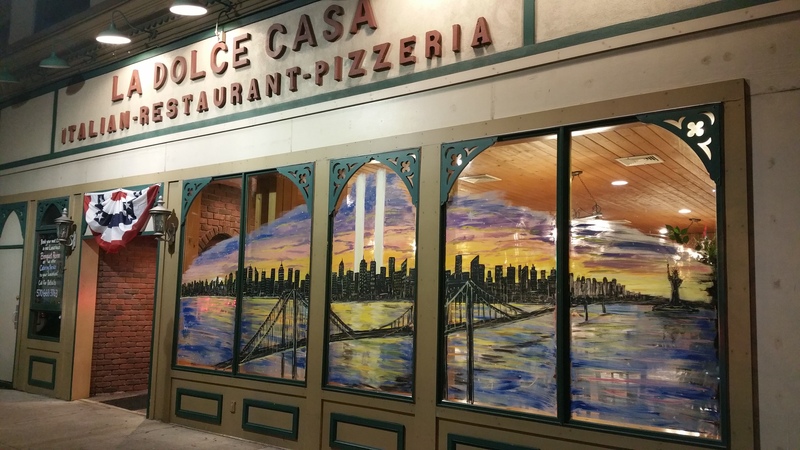 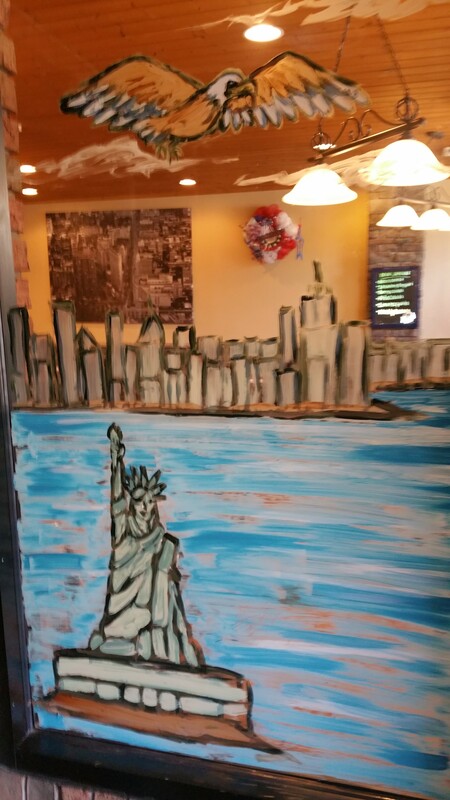 Pictured is a Sept. 11 mural painted on the windows of La Dolce Casa Restaurant in Tamaqua. 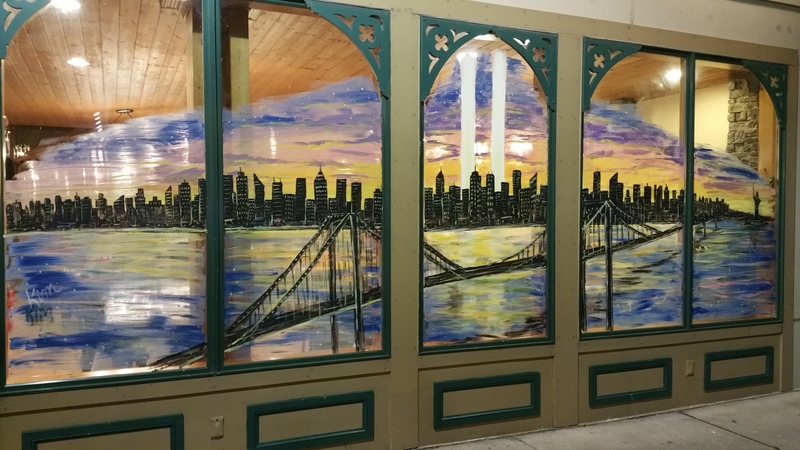 Artist is Kimbery “Kim” Brogdon of Tamaqua. 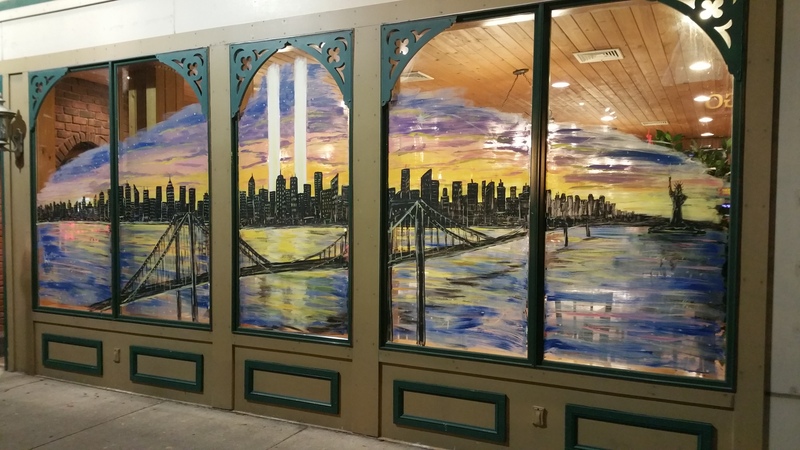 For more about Brogdon and her work, find her on Facebook at https://www.facebook.com/kimbrogdon, via email at kimbrogdon@yahoo.com or via phone at 843-926-3000. 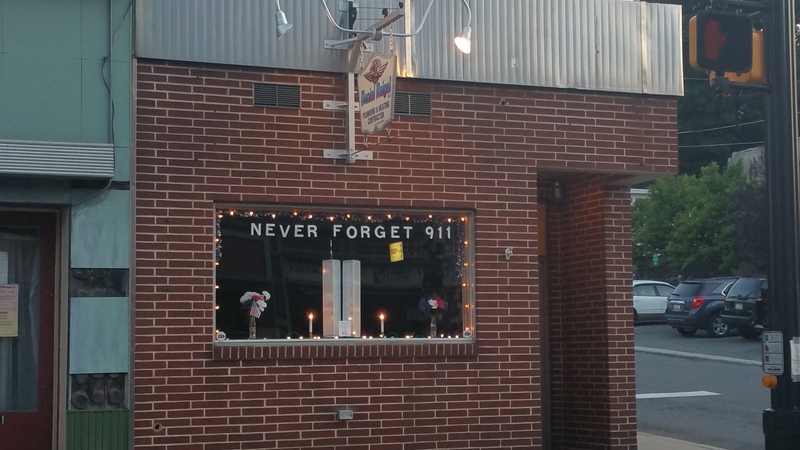 Tamaqua’s 9/11 Memorial Service is scheduled for Friday, September 11, 2015 at 6 PM at the South Ward Playground.